Is there any hope in Britain's bleak MotoGP future? The British contingent in MotoGP will shrink to just one member in 2019. 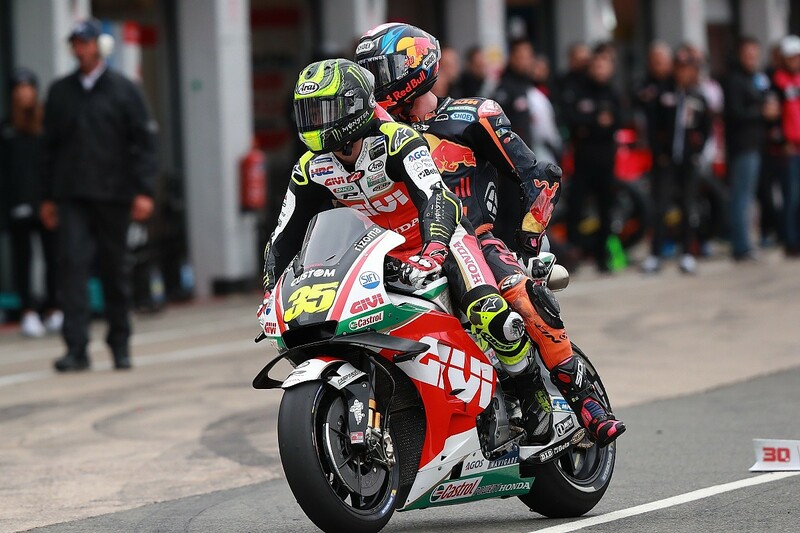 Since Bradley Smith and Scott Redding are to lose their respective KTM and Aprilia seats, Cal Crutchlow at LCR Honda is set to be the country's only representative. Given there were four Brits on the grid as recently as last year, and since Crutchlow admits his current contract could well be his last, this sudden dearth has raised fears that the UK is facing a barren period. So why has the British talent pool in grand prix racing dried up, and where do the UK's hopes lie? Britain was at the vanguard of grand prix motorcycle racing's first three decades. The inaugural 500cc world championship of 1949 was won by Brit Les Graham, while Freddie Firth was victorious in the 350cc class. Geoff Duke picked up the mantle in the top class in 1951, '53, '54 and '55, before John Surtees added a further four 500cc titles to Britain's haul in '56, '58, '59 and '60. Mike Hailwood would dominate from 1962 through '65, with Phil Read and Barry Sheene taking a brace of top tier titles in 1973 and '74, and '76 and '77 respectively. Since Sheene's second title, Britain has won just one championship in any class, courtesy of Danny Kent's Moto3 triumph in 2015, while 35 years split Sheene's final 500cc Sweden win in 1981 and Crutchlow's 2016 Brno MotoGP victory. Britain's lack of grand prix success in the latter part of the previous century was not helped by the advent of Superbike racing. The British and World Superbike Championships all of a sudden offered a cost-effective alternative to racers struggling to fund grand prix campaigns, while retaining a degree of prestige and allowing them to earn a decent living. This is still the case today to an extent. 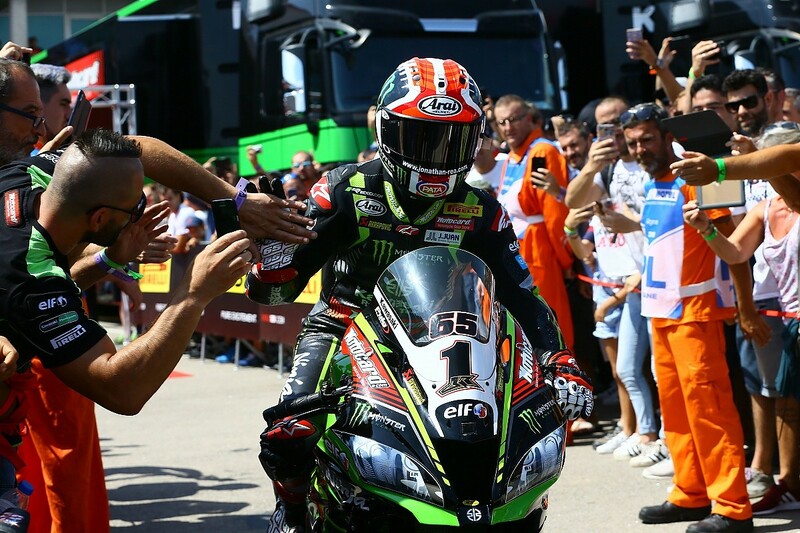 WSBK's podium is dominated by Brits, with soon-to-be four-time champion Jonathan Rea more often than not atop the rostrum, while BSB's frontrunners often remain in the series, maybe making a move onto the world stage in the less risky WSBK rather than looking at grand prix racing. A number of riders from WSBK have made the step to MotoGP, including champions Neil Hodgson with D'Antin Ducati and James Toseland with Tech3. But their tenures proved unsuccessful, and it took Crutchlow two seasons to become a regular podium challenger when he made the switch from WSBK in 2011. Crutchlow has since gone onto win three races and secure a factory Honda contract. But the current state of WSBK means, for the foreseeable future, a repeat is unlikely. As Hodgson told Autosport earlier this year, Rea's dominance and his unwillingness to risk all for non-factory machinery has created a "block" on WSBK runners shifting to MotoGP. "If you're Jonathan Rea, you have to take potentially a B-ride, not a full factory team, to earn less money doing more races, thinking 'if I do well this weekend, I can be fifth or seventh,'" Hodgson said. "Or he can stay where he is, earn more money to do fewer races, 13 rounds instead of 19, with very little testing... when you look at it like that, it's a no-brainer. "Don't get me wrong, if Honda or Ducati offered him a full factory contract offering decent money, he'd jump at the chance. But it's not happened. It's been B-teams that have offered him the opportunity, and the money he's been offered is potentially one-quarter of what he's earning in WSBK. "If they can't touch Jonathan Rea, why would we employ this person in MotoGP? Jonathan has almost created a block, but it's not his fault!" MotoGP owner Dorna Sports spent the better part of a decade before its recent British Talent Cup initiative nurturing the hopes of riders such as Smith, Redding and Kent, and the pay-off was set to be big. Kent's title set him up for a proper go at Moto2 in 2016, while Smith enjoyed his best season in the premier class aboard the Tech3 Yamaha, when he finished top non-factory runner in sixth. Redding's sophomore MotoGP campaign was difficult, but flashes of brilliance - including a maiden podium alongside Smith at Misano - suggested that the Honda was the problem, and Ducati would be where he could truly shine. Then Smith - albeit not helped by injury mid-season - was effortlessly beaten by team-mate Pol Espargaro, while Redding was passed over for a works GP17 for the '17 season after failing to beat team-mate Danilo Petrucci. Kent's Moto2 return was dismal, and three races into the following the season he quit the Kiefer team, while a third comeback with Speed Up has been fruitless. 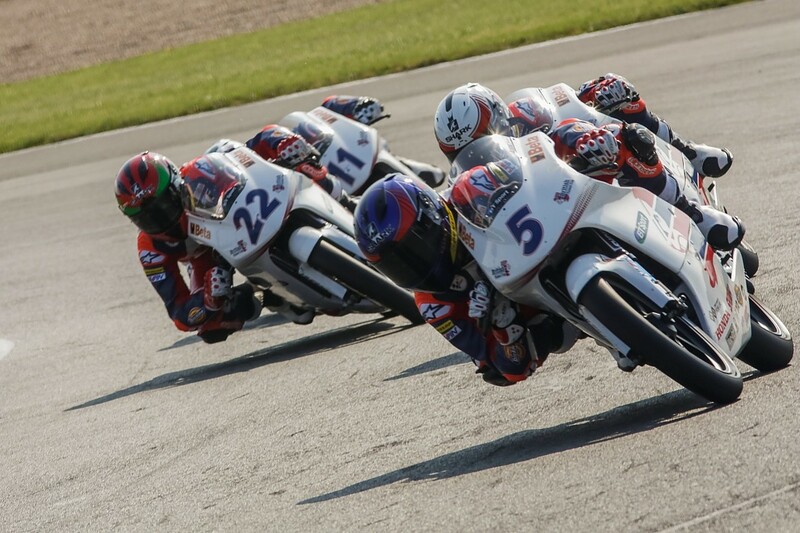 This hasn't stopped Dorna from making its biggest push in recent years to boost Britain's presence in grand prix racing, setting up the British Talent Cup last year. Following the model of its Asia Talent Cup, the series scouts out young riders with extreme promise but perhaps lacking in funds, and gives them a stepping stone into the world championship, while current Honda MotoGP team boss Alberto Puig acts as rider coach. Since 2014, five of the ATC's frontrunners - including two champions in Ayumu Sasaki and Kaito Toba - have found their way on to the Moto3 grid full-time. This bodes well for the BTC, though given '18 is its first season, Hodgson reckons it will be quite some time before any of the series' riders make it into Moto3. "We have the British Talent Cup running as well," he said, "but they are two years off getting to Moto3, so quite a way off MotoGP - they're all 14 or 15. We could have a period where we're struggling, but after that in three years or so we should be OK."
Whether the BTC fulfils its prime directive remains to be seen, but Dorna CEO Carmelo Ezpeleta will not let it be the final throw of the dice for a prosperous future for Britain in his world championship. "We believe that Britain is a place to engage with and keep an eye on," Ezpeleta said. "We did the British [Talent Cup] in 2018 and we will do it in 2019, and from then on we will reconsider if that is the right way. "We will continue making an effort in Britain, although that does not necessarily mean that we keep the same model. We try to learn from what we do based on the results we get. For us, trying to get more British riders and Germans in the world championship will remain a priority." Smith - who believes he can return to the premier-class grid in 2020 after a year as Aprilia test rider - thinks more needs to be done financially to get more Brits on the grid. He suggests BT Sport, which holds the exclusive television rights for MotoGP in the UK, should join rival broadcasters Sky and Movistar - who currently have title sponsorship deals with the VR46 teams and the factory Yamaha squad respectively - in putting more backing into its country's talent. 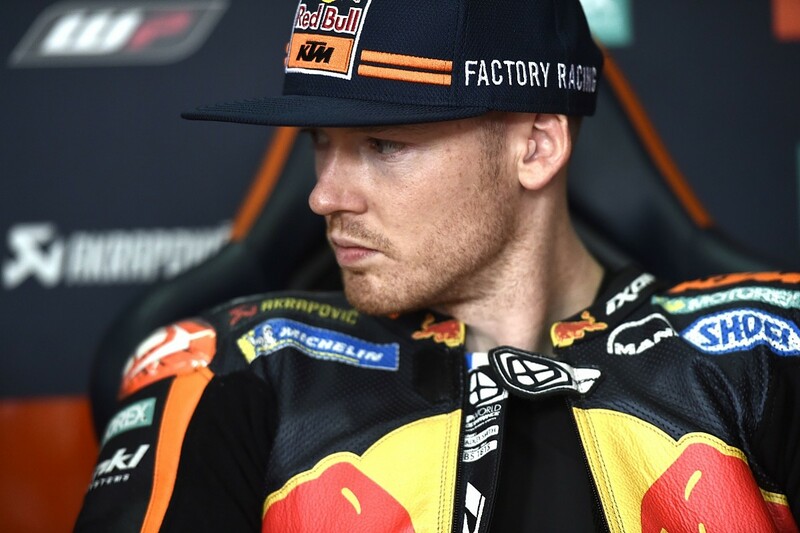 "There'll be two [British riders] by 2020, but next year is just one of those years we have to accept, for whatever reason, we've found ourselves shuffled out, the results weren't good enough," said Smith. "It's one of the main reasons it would be good if we had a British corporate sponsor that could help and push in that direction. I'm not saying it's the job of BT Sport, but it's something that of course they can push. They could step in and rectify it, but they choose not to. 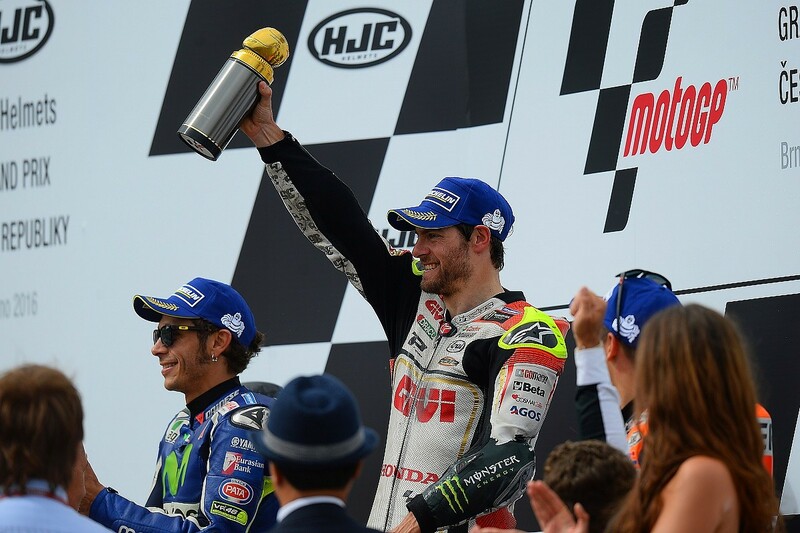 "With Crutchlow doing the job he's doing, they almost don't need anyone else at the moment. But I think they will feel it a little bit next year." While a new wave of British hopefuls in Moto3 is still a few years off, a successor to Crutchlow could already have been found, after 21-year-old BSB star Jake Dixon was confirmed as joining the Angel Nieto team in Moto2 next year. Dixon has taken BSB by storm in recent years, taking a sensational double victory last year - his first full season in the series - at Knockhill on his way to sixth in the standings. He currently lies second in the championship race after tallying up three wins. Dixon's arrival in Moto2 could not have come at a better time. The switch to the new Triumph engine is set to shake up the series massively, and Dixon - though already armed with a race of Moto2 experience after replacing the injured Marcel Schrotter at Silverstone last year - will be disadvantaged less by his need to adapt to intermediate-class machinery. A good debut season could then put him in the shop window in '20 for when the next MotoGP contract cycle opens. His BSB rival Bradley Ray has also been touted as a potential future star, and he too was rumoured to be in line for a 2019 Moto2 move. This looks unlikely now, but success for Dixon could well mean a change of outlook for young riders in BSB, while grand prix teams may cast their eye across the English Channel more than they are doing currently. The successes Britain has enjoyed across the three classes of the MotoGP world championship in the past decade are unquestionably slowing and the future, while bright in places, is uncertain. But it does not feel like a barren period, reminiscent of what followed after Sheene stood down from the top of the Anderstorp podium back in 1981, is on the horizon. Dorna knows how important Britain is as a market, and it knows the country's history within its sport is far too grand to let it fade again.